Amenities: The condo is entirely on the 2nd floor with access by stairway. The master has a king bed and an adjacent bathroom. The side bedroom has a queen and a twin bed. The 3d bedroom has a queen bed. The 2nd and 3d bedrooms share a bath. There is also a powder room. There is a washer/dryer. The dining room seats 6 and room for 2 more at the breakfast bar. Full kitchen. There is wireless high speed internet and a high definition television with direct tv + dvd. There is a front deck with seating for 2. There is a BBQ in the front yard with seating for 6. A 2 car garage is included. The local beach is wide, flat, with plenty of sand and only a block away. There are lots of restaurants and shops only about 6 blocks away. My wife Judy and I manage this rental. We live 10 minutes away so if you have any problems, we will take care of it quickly. Judy was formerly a manager of a major Los Angeles hotel and I built this building and can fix just about anything in in blindfolded so between the two of us, we have you covered! I'm a retired builder and built this property in 1989. When I retired from contruction, my wife and I decided to start renting this as a vacation rental as we had always liked the area. Our renters agree. After 6 years of doing vacation rentals, we have hundreds of satisfied customers. I highly recommend this property to any family that is keen to see Venice beach, Santa Monica Pierre and surrounding areas, Quick and easy access. Steven was great and even helped us extend our stay at his Santa Monica house. Kids loved the walks and cycling down Venice beach towards Santa Monica. House was clean and well equipped, beds were comfortable. Would stay here again in a heart beat ! The apartment in Galleon St was a good size well appointed and immediately felt like home. The owner was very helpful and flexible regarding arrival and departure arrangements. The rooms were all a good size as is the garage which included bikes and beach toys at our disposal. Everything we needed was in place which allowed us to focus on enjoying our stay. 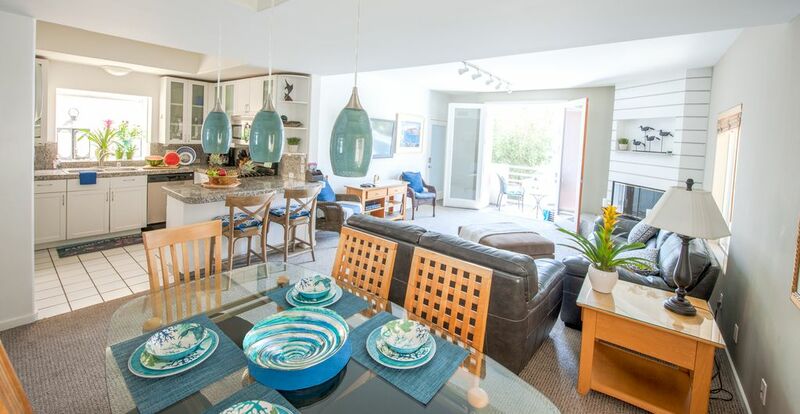 The location is great, literally a 2 min walk to the beautiful Marina Del Rey beach and a short walk from the Marina in one direction and Venice and muscle beaches in the other. This was out first time to Marina del Rey. We have kids ranging from 10-17, and this was the perfect place for all ages. It was large enough for a family of 6 without feeling like we were on top of each other. We loved that we could walk everywhere (especially if we had been driving around during part of the day) and just a block from the beach. Also, having laundry in the unit was a plus for a mom of 4! The owners were wonderful! We hope to plan another trip! The place was very clean and there were supplies for us to use. When we had a minor problem, it was fixed immediately. The location is excellent and very close to the beach and restaurants. We will surely stay there next time when we travel to LA. Could not ask for more! This was our first time in years not renting a beach front condo and I had many concerns. I was pleasantly surprised to find that the beach just a short walk away. We spent our days in the sand and our nights in the condo enjoying the BBQ, playing cards, etc. The condo is well appointed, spacious and very comfortable! The beds were excellent and although the California nights can be cool, it was nice to have the option to use the A/C to sleep. Shops and restaurants are a short walk away. The unit has a few bikes available for use, which we enjoyed. The garage is also stocked with beach gear. Would recommend this property to anyone and look forward to staying here again. Thanks, Steve. We stayed in Steven's apartment for 2,5 months and we couldn't have wished for a better place to stay! The apartment was fresh and very well maintained, we had all we could possibly need to cook our huge turkey for Thanksgiving but also for bbq in the charming front garden. Our two cars fit perfectly into the garage, we had a 45 seconds walk to the beach for morning runs and sports, the area felt calm and safe, we didn't hesitate to take evening walks around 10 pm. Wi-fi and washer/dryer made our stay very easy. We felt at home right at once and Steven was extremely helpful whenever we had any questions, he also met us at the house when we arrived from LAX and provided us with lots of useful information! 15 min walk to Venice, 35 to Santa Monica, nice restaurants in the neighborhood, grocery store 10 min by car, easy access to most of the freeways. Bicycles in the garage for excursions during the weekends. We would love to go back sometime and we would definitely recommend it!! Take a morning walk, watch the sunrise and the surfers go into the sea, have breakfast on the deck and enjoy the beautiful area. You can enjoy surfing, sun bathing, boating, boat watching, beach walks, bicycling, volleyball, dining, shopping, or you name it! Just 1 block from the beach, 1/2 block to famous Venice Canal, 6 blocks to Venice Boardwalk, 6 blocks to lots of colorful restaurants and shopping. Tax is not charged on stays of 30 days or more.